Terry loops thru the entire sock. Heel tab to keep the sock in place and prevent rubbing. 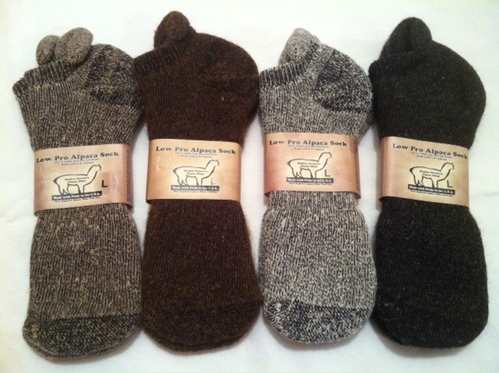 Made in USA with US grown alpaca. Manufacturers Care Instructions: Machine wash and dry-use warm water and tumble low. Do not iron or dry clean . My own advice is - For Best Results, Do Not Tumble Dry. 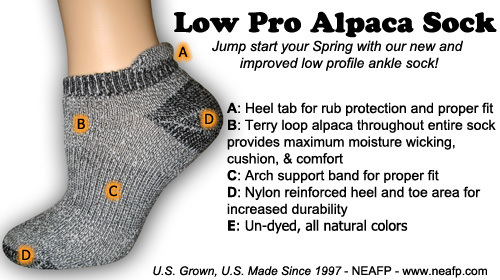 This low profile sock design has alpaca terry loops through the entire sock for cushion, comfort, and maximum moisture wicking. 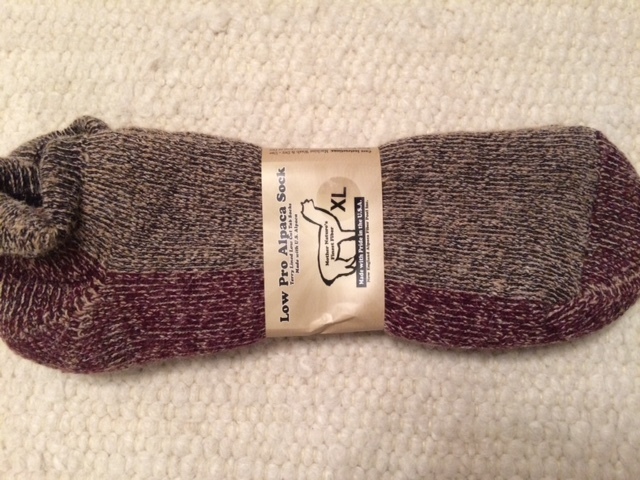 There is a heel tab to keep the sock in place and prevent rubbing. 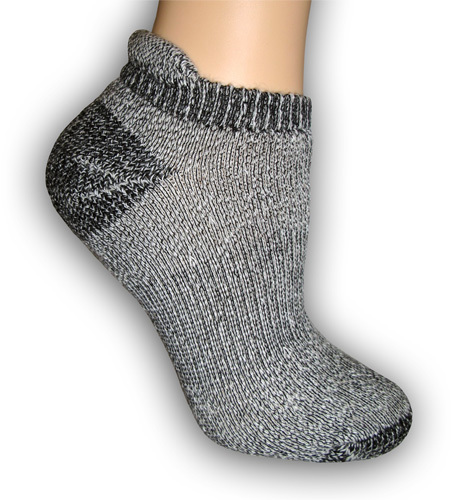 The arch band wraps around the entire sock for a proper fit and the heel and toe have been reinforced with nylon for increased durability. Hypo-allergenic, un-dyed, and naturally odor resistant. Below is the manufacturers size chart.